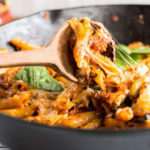 Easy One Pot Vegetarian Pizza Pasta Bake using Ragu Pasta Sauce! Dinner ready in 30 minutes! I am leaving for home in less than 20 days! Eeeks I can’t believe it. I remember when we booked out tickets and I thought oh that’s so far, year end. And now it’s here. It’s like I blinked and we are into November. I am so excited to go home, like always. Even though both our parents visited us this year but going to India is a different thing altogether. I will get to meet all my friends and family and I can’t be more excited. I am going to spend my entire holiday in India and I couldn’t have asked for more! These days I am not buying tons of groceries, because I won’t be here for a whole month. And that is kind of tough for a food blogger since my fridge and pantry is always overloaded with stuff. Also these days, I am drawn to comfort food. That happens with me, always! 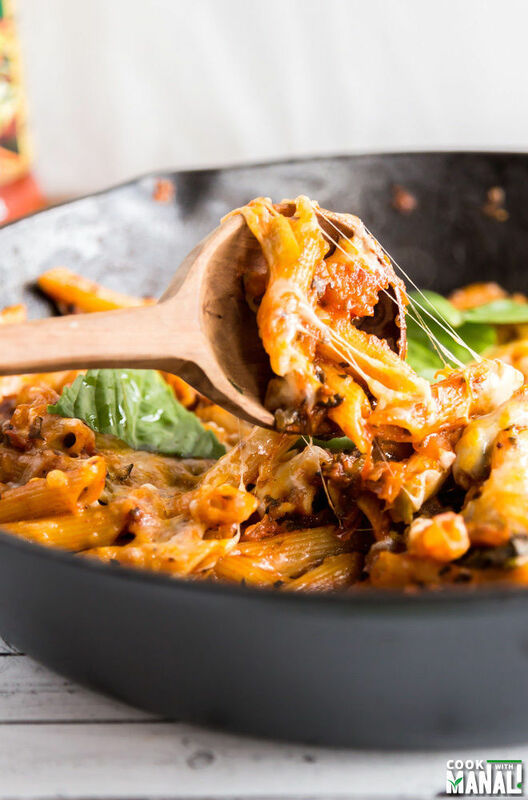 As soon as the it starts to get cooler, my body craves for comfort food and it’s even better if I can make it all in one pot like this Vegetarian Pizza Pasta Bake using Ragú® Pasta Sauce! Do you know the history behind your favorite pasta sauce, Ragu? It’s actually quite inspiring! Ragu’s founder Assunta was an immigrant who started selling her homemade pasta sauce to her neighbors in 1937. By the 50s and 60s Ragu become a household name and since then the company honors Assunta’s high standards by using farm grown ingredients only. Their products are not only affordable but also have no artificial flavors and no high fructose corn syrup. I am really impressed by Ragu’s tradition and Assunta’s amazing story. Especially since I am an immigrant too, I can relate to it so much more. You can learn more about this inspiring story here! 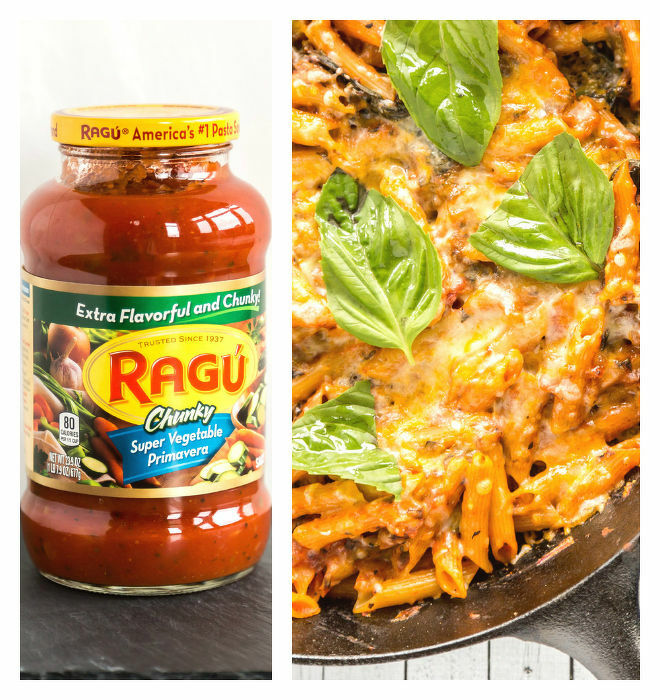 To make this vegetarian pizza pasta bake, I used Ragú® Chunky Super Vegetable Primavera Pasta Sauce. It has chunks of real zucchini and carrots in it and considering how much I love my veggies, it’s obvious why I love it so much! This is a simple recipe, which is ready in 30 minutes. Can’t get easier than this, isn’t it? Heat a oven safe skillet on medium heat. Add oil and once the oil is hot add chopped onions. Saute the onion for 2 minutes or till raw smell goes away. Add chopped pepper and mushrooms and cook for another 2 minutes. Add dried oregano, basil, garlic salt, salt and pepper and cook for a minute or so. Now add the pasta, Ragu Sauce, fresh basil and water. Mix till everything is combined. Cover the skillet and cook on medium heat for 11-12 minutes or till the pasta is done. Remove the skillet from heat and sprinkle shredded mozzarella cheese on top. Place the skillet in a 500 F degrees preheated oven for 3 minutes or till the cheese melts. Garnish with some fresh basil and serve immediately! * Adjust the amount of cheese in the recipe to taste. Please add a cup of cheese if you like more cheese in your pasta. If you have a unique recipe featuring Ragu sauce then don’t forget to enter Ready. Set. Cook Contest! You can win some fabulous prizes including the grand prize of $3000! Good luck! 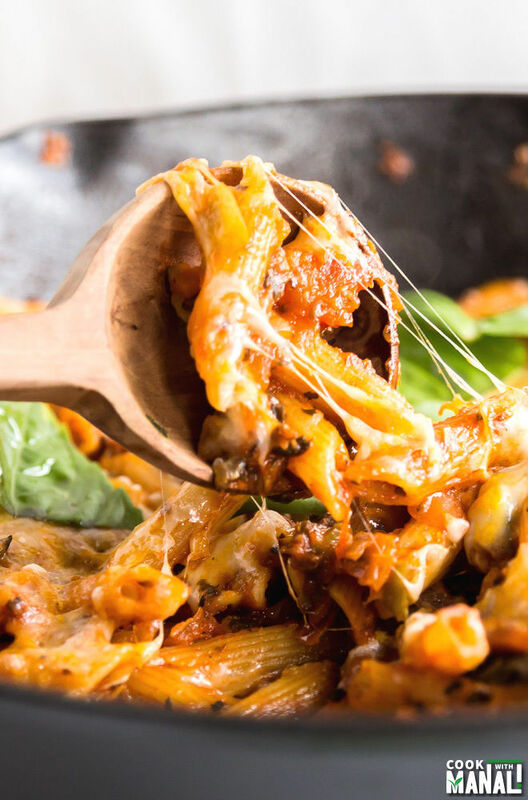 One Pot Vegetarian Pizza Pasta Bake, dinner ready in 30 minutes! Heat a oven safe skillet on medium heat. Add oil and once the oil is hot add chopped onions. Saute the onion for 2 minutes or till raw smell goes away. Now add the pasta, Ragú® Chunky Super Vegetable Primavera sauce, fresh basil and water. Mix till everything is combined. I love all the veggies in this pasta, and that CHEESE! 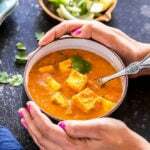 This is such great comfort food, Manali! Thank you MArcie, yes comfort food at its best! 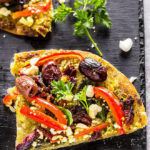 Love the look of this recipe. We all love a good pasta don’t we?! Mmmm, this pasta dish looks so comforting and delicious! I love making pasta bake, and this pizza flavour sounds amazing! Can’t wait to try this Manali! Yummy! Thanks Harriet, I think you will like it! One pot meals are my favorite! 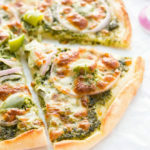 This vegetarian pizza bake looks amazing, Manali! I can almost taste it right through my screen! One pot dishes are the best….especially when it involves pasta and pizza! wow now that’s a pasta bake! Mine never looks this GREAT! I am sure it does Angie, you are too kind! 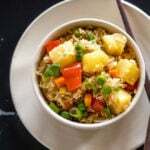 I love that this is one-pot, and it looks so cheesy and flavorful! The big hunks of tomatoes are calling out to me! I’m so excited for you to go to India, Manali! That trip will be such a dream!!! Thank you Sarah! I am so excited for my trip! 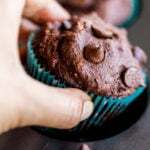 Looks delicious and easy to make! Pinned! Glad you are going back home! I do love a one pot meal! I also love pasta, so this is right up my alley! How exciting for you to be going home! It must be hard to be so far away from your family and friends. 20 days will fly by and you will be on a plane before you know it! This looks delicious, Manali! Such a perfect weeknight meal! 🙂 So excited you’ll be home to see your family, soon! This looks so good Manali! Perfect easy dinner!! ohh and HAPPY DIWALI friend!! I am all homesick! This pasta bake looks delicious, Manali! 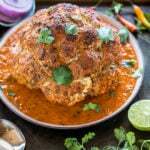 Love the flavours – such a tasty and comforting dish! I love all the veggies in this pasta. And that stretchy cheese! So much yumminess!! Thank you Jen, love the cheese! Thanks Cheyanne! I cant wait for my trip!! WOW!! This looks amazing!! …and it’s only one pot?!! What a great dish! I love that it’s quick too! Looks lovely! Yum! You had me at one pot, haha! This looks AMAZING, Manali! 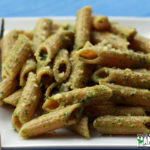 Our family loves pasta and I will definitely be trying this one soon! Thanks dear, I hope you do! Hi Manali, this dish is full of great ingredients, ingredients I love, basil, olive oil, peppers, cheese… Perfect & yummy! Manali, oh my gawd, this pizza pasta bake looks SO GOOD!!! comfort food forever!!! love this! 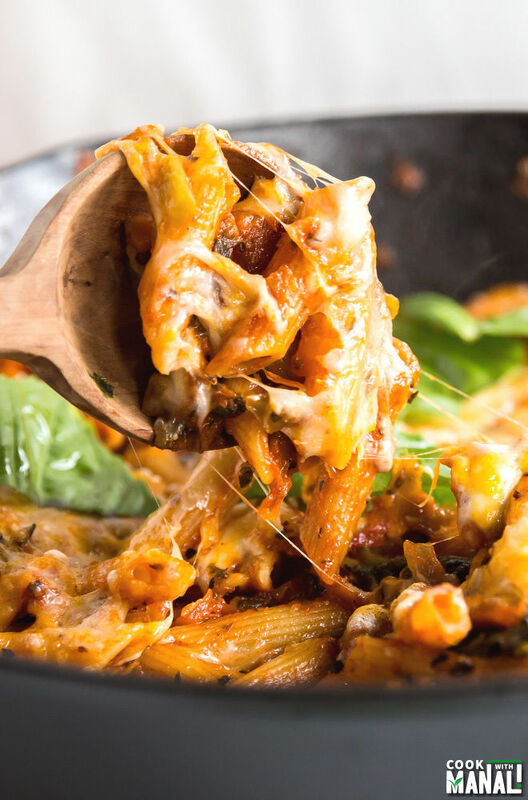 This pizza pasta bake looks absolutely divine, Manali. So cozy and comfy. Wow, you’re taking one heckuva trip! A lot of advance blog planning must be going on right now, huh? Or are you blogging from India? This looks absolutely delicious. I love pasta bakes!